It’s recently been reported that Google is planning to soon launch its first Chrome OS tablet, the so-called Google Pixel Slate. This comes as a little bit of a shake-up to the previously biennial schedule of Google’s Chrome OS device releases. Between leaks of ever-increasing severity and details in Chromium code, we actually know a decent amount about the upcoming device. Here’s all of it in one place. Update 10/7: After a very full week of leaks, we now have an even more complete understanding of this device, including its looks, specs, and accessories. While the Pixel Slate will be the first Chrome OS tablet Google has released, it is not the company’s first attempt at doing so. When the beloved Pixel C tablet began development in 2014, it was originally intended to ship with Chrome OS instead of Android. The project was scrapped back then because Google didn’t believe that Chrome OS was ready for the touch-centric navigation required by tablets. Clearly, enough has changed in the past few years that Google now feels comfortable releasing a Chrome OS tablet. So let’s dive in and see what they have in store for us. First and foremost, let’s take a second to appreciate the sleek, modern style of the Google Pixel Slate. As of this weekend, we now have leaked images of both sides of the device, which further confirm earlier leaks. As you can see from the image, if we use the USB-C port as our reference, the Pixel Slate seems to be a very thin device. It’s noteworthy that the device seems to be a slight departure from the signature designs of the Pixel line, lacking a two-tone rear. Instead, the Pixel Slate seems to have a dark gray stripe on the left and right sides. Whether this serves a purpose beyond aesthetic is hard to tell at this point. These stripes appear to be of a different material, and may simply serve as gripping points. The deep blue color shown looks gorgeous, but does not quite line up with the shade of blue depicted in earlier leaks. This is likely just a difference of render vs reality. With the Pixel Slate, Google seems to be trying to develop the ultimate all-in-one mobile device. Starting from the stable foundation of Chrome OS, Google has recently added Linux app support. Stacked on top of that, the already stellar Android app support in Chrome OS is getting an upgrade to Android Pie, which may come to the Pixel Slate first, judging by a recent leak via Geekbench. Looking ahead, it seems Google is even testing the device to prepare it to possibly dual-boot Windows 10. I doubt this will be a launch feature, but I’d be happy to be proven wrong during the Made by Google event. Google also seems to be putting a great deal of work into making the Pixel-exclusive (and coveted by many) Google Camera app for Android work correctly on the Pixel Slate. Included in this port is Portrait mode, also known as the bokeh effect. With all the other great features coming to the Google Pixel Slate, fingerprint authentication is the icing on the cake. Brand new to Chrome OS, fingerprint authentication should bring a much-needed boost to the convenience, quickness, and security of Chromebooks, starting with the Pixel Slate. Between information found in Chrome OS code about the ‘Nocturne’ prototype and details in leaked benchmark tests, we’ve gotten a fairly deep understanding of the kind of mobile powerhouse the Pixel Slate will be. The leaks indicate four distinct models ranging from low to high performance. Each of the four models that have been spotted has a different processor on-board. The lowest model is backed with a paltry Intel Celeron 3965Y from last year’s Kaby Lake family, running at 1.5GHz. It’s notable that this model does not offer multi-threading, which seems to make a significant difference in its benchmark score. On the next model up, we find an Intel Core m3-8100Y, running at 3.4GHz. Between the upgrade to the next processor generation and offering multi-threading, we see the benchmark score almost double from the Celeron. The third model offers an Intel Core i5-8200Y, running at 3.9GHz. Finally, the top-tier Pixel Slate will apparently boast an Intel Core i7-8500Y running at 4.20GHz. The benchmarks indicate that all but the highest model of Google Pixel Slate will offer 8GB of RAM, with the premier model rocking 16GB. This is in line with the Pixelbook’s memory options. Like the Pixelbook before it, lower Pixel Slate models will likely offer eMMC storage, and higher models will have a much faster NVMe solid state drive. The sizes for each option are still unknown as of this writing. Introducing a great camera app (with in-demand features like Portrait mode) would be pointless without backing it up with good camera hardware. The Google Pixel Slate features both front and rear facing cameras, which is new to the Chrome OS Pixel line. Up front, for your selfie-taking pleasure, is the Sony IMX319, and around back, for portraits and more, is the Sony IMX355. More exact details of what these cameras are capable of will surely come out in the coming days. Now, a high-end consumer device like this is surely destined to launch with a variety of accessories. 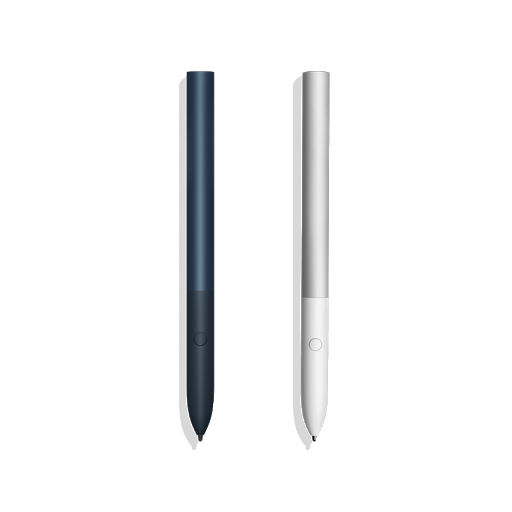 On the first-party side of things, Google appears to be releasing a Pixelbook Pen in a complimentary blue colorway. Last year’s Pixelbook Pen will most likely also work on the Pixel Slate, as there’s no immediate indication that this is anything more than a new color option. Google is also developing an official, attachable keyboard for the Pixel Slate, similar to what’s available for Microsoft Surface devices. Last month, we got a very brief sneak preview at what we thought may be this accessory and its dark, rounded keys. This weekend we got to see this keyboard in full to confirm those suspicions. The size shown for the keyboard seems to indicate that it may also act as a cover for the Pixel Slate, possibly offering some scratch protection. There are also clear creases in the cover, which hints that it will fold to act as a stand. There are also references to this functionality in Chrome OS code. As for third-party extras, only one or two accessories have leaked for the Google Pixel Slate. The two devices leaked are both Chrome OS keyboards from high-end tablet keyboard maker Brydge. 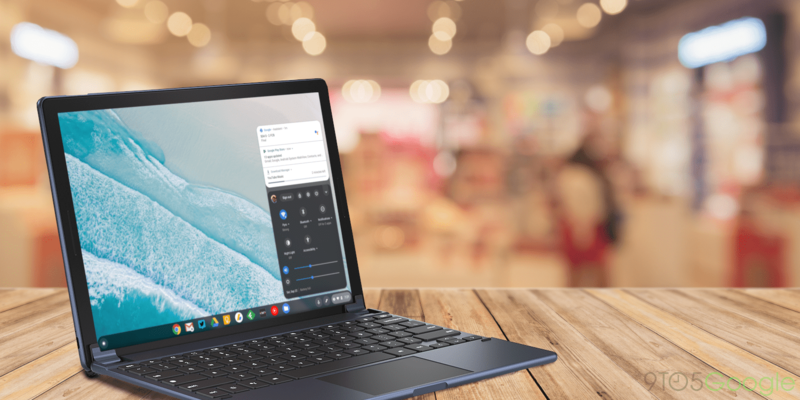 One is a direct alternative to Google’s official attachable keyboard that will turn the Pixel Slate into a laptop-style device. The second keyboard looks like a traditional wireless keyboard, and was labeled as a “desktop” keyboard. This could mean that it’s intended for a different device altogether. While these are the only accessories we know of, these are almost certainly not the only ones that will launch. Google has been partnering with dozens of accessory makers as part of its “Made for Google” program, which has undoubtedly not quite hit its stride since announcement last year. This coming event could possibly be the venue for many brands to premiere products for the Google Pixel Slate and other new devices.